Stinging Nettle is a glorious plant, and it took me a couple of years to create an environment that would make it thrive. 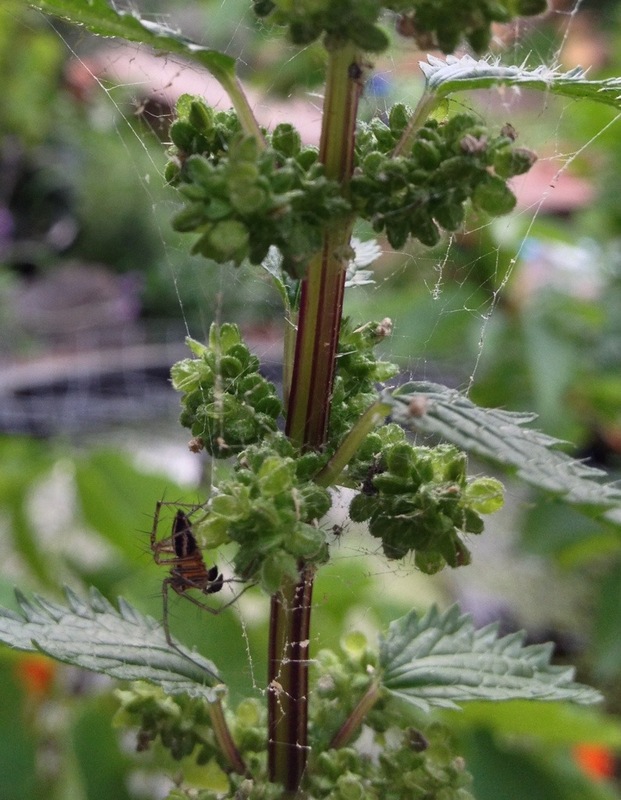 Tags: spider, stinging nettle. Bookmark the permalink. Are those flower buds on the nettle? I rarely come across nettles–or maybe overlook them?–though have been “stung” a couple of times. The spiders on your photo seem very pleased indeed, like in a sunny arachnid condo! Could I ask what it is that makes the nettle glorious for non-arachnids?